If you’ve been to an SCI BC event lately you may have noticed our new supporter, Andina Brewing Company. This past year, the East Vancouver brewing company has provided us with brews that not only ignite our taste buds but spark conversation and Peer connection. Founded by brothers Andrés and Nicolás Amaya, Andina Brewing is a reflection of their values, history and family. After immigrating to Canada in 1998 the Colombian duo immediately developed an affinity for local craft beer and began home brewing. This newfound passion soon became their business. In 2017 Andina Brewing opened with a focus on South American flavour fusion, vibrant aesthetics and a commitment to heritage and family. 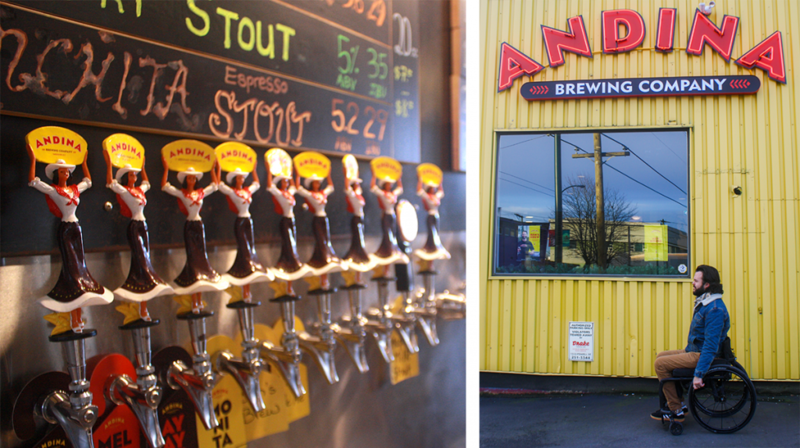 Members of our SCI BC team recently visited with Andrés to learn more about Andina Brewing. “Some of our core principles are family and belonging,” says Andrés. Principles that are exemplified by the impressive number of family members contributing to the business (Andrés’ brother is COO and their wives (who also happen to be sisters) handle the marketing and accounting while their children work for the brewery and will likely take over the business when it’s time) and Andina’s belief that creating connections over good beer and food is important. 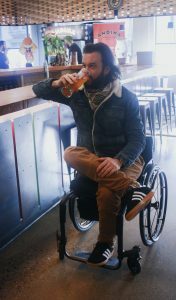 In this way, Andina Brewing has embraced accessible design. 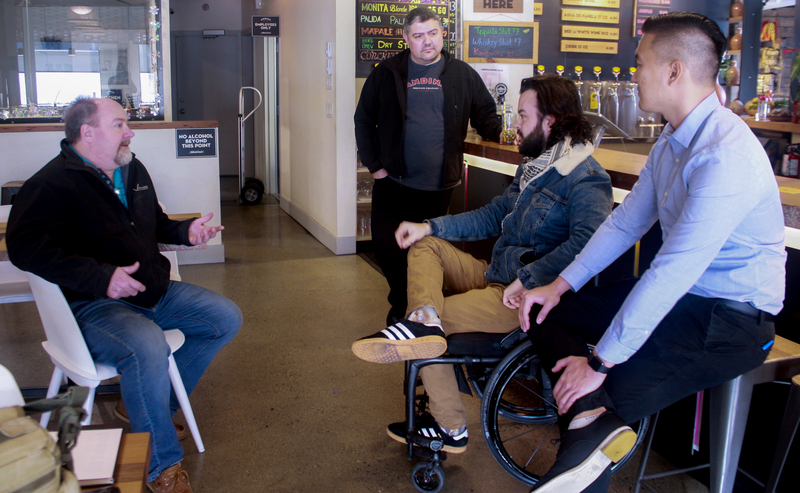 Their taproom features a ramp, accessible parking, accessible washrooms and a variety of seating options that invite all guests to easily enjoy the open and vibrant space. SCI BC experienced this environment firsthand at our Guys Garage event in 2018. A large event space in the warehouse of Andina played host to our Peers as they enjoyed brews, games, conversation and a view of the mountains. Andrés hopes to continue this support.